Click to view the segment online now. Attn: PHILLY! 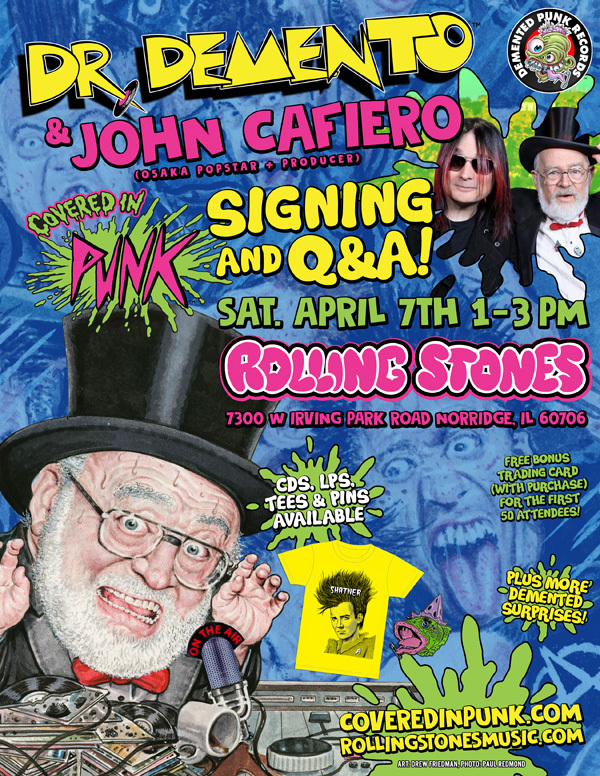 Get ‘Demented’ on ‘Record Store Day’ with the legendary Dr. Demento & “Covered in Punk” Producer John Cafiero (of Osaka Popstar), plus Special Guests Rodney Anonymous & Dean Clean of THE DEAD MILKMEN for an Instore Signing on Sat. April 21, 4-6pm at Main Street Music: 4444 Main St., Philadelphia PA 19127. On Sat. 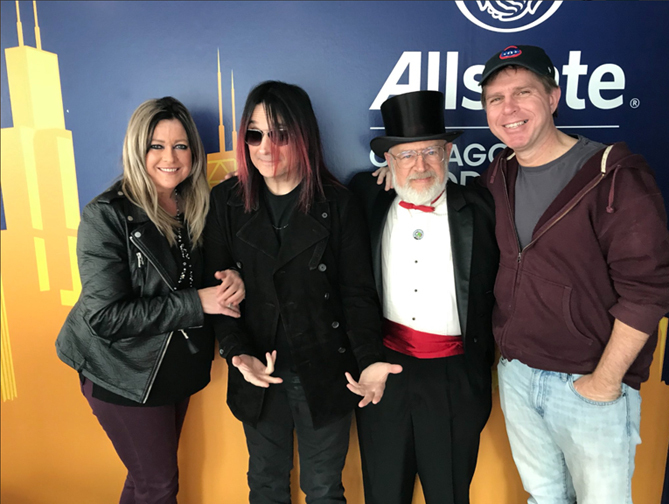 April 21, the one and only Dr. Demento, and Osaka Popstar frontman John Cafiero, (producer of the new compilation Dr. Demento Covered in Punk), will appear as special VIP guests at KindieComm 2018. “Kindie” is an abbreviated term that stands for independent kids’ music, and KindieComm, presented by XPN Radio and NPR’s World Cafe, celebrates that genre, bringing together radio programmers, industry professionals and artists alike. Click here for more details. 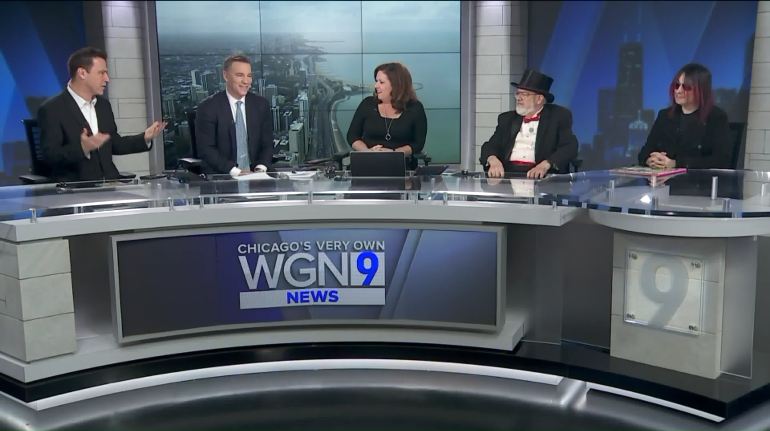 Click here to hear WGN Radio’s Bill Leff and Wendy Snyder Show welcome Dr. Demento and John Cafiero in-studio to discuss “Covered in Punk”. 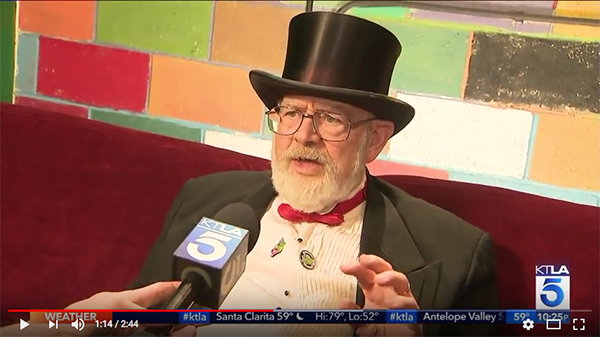 If you missed the TV airing of the segment, click below to watch radio icon Dr. Demento and “Covered in Punk” Producer John Cafiero (of Osaka Popstar) talk to KTLA News about the new album “Dr. 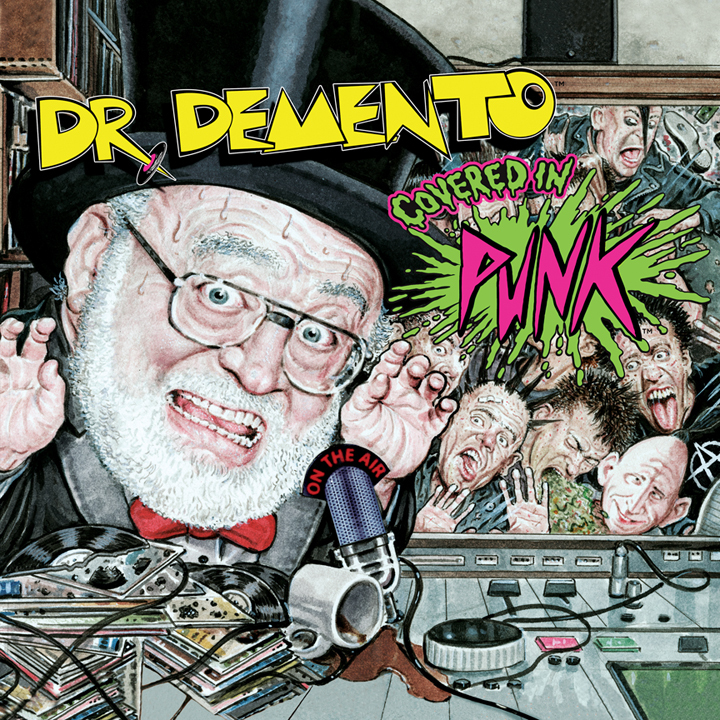 Demento Covered in Punk”! 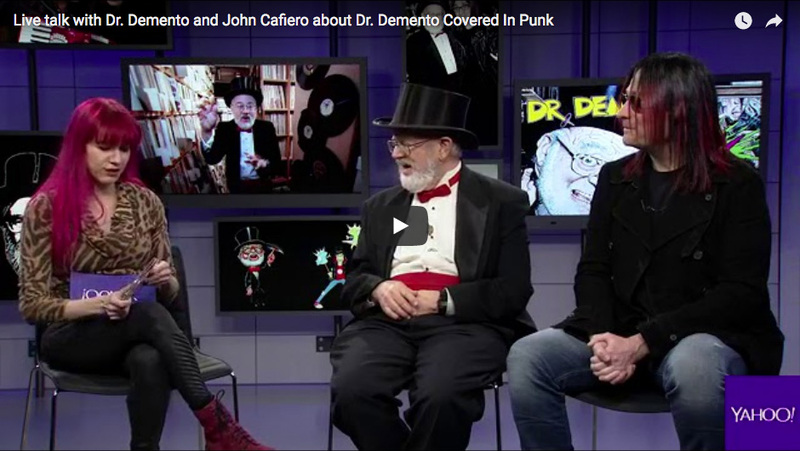 Yahoo Host and Music Editor Lyndsey Parker recently held a Facebook Live chat with Dr. Demento and album producer John Cafiero (Osaka Popstar) about the new release “Dr. Demento Covered in Punk”. Click to watch the entire video interview online now! Local “Robble Rousers” The Hamburglars will also be in attendance for photo ops/meet and greet. Demented Punk T-shirts and pins will be in-stock and available for purchase. Hope to see you there! INSTORE SIGNING AT AMOEBA HOLLYWOOD WED. FEB. 28TH 5-7PM! Wind up your radios dementites and dementoids – the doctor is coming to Amoeba in Hollywood, CA! L.A. artist Colleen Green, Dale Bozzio of Missing Persons, and Andy Merrill (voice of Brak from Cartoon Network’s Space Ghost & The Brak Show). To attend: Purchase your copy at Amoeba Hollywood to receive a ticket for admission to this awesome, demented event! In-store purchases only, limit 2 copies per person, space limited/while tickets last. #1 Comedy album in Billboard! 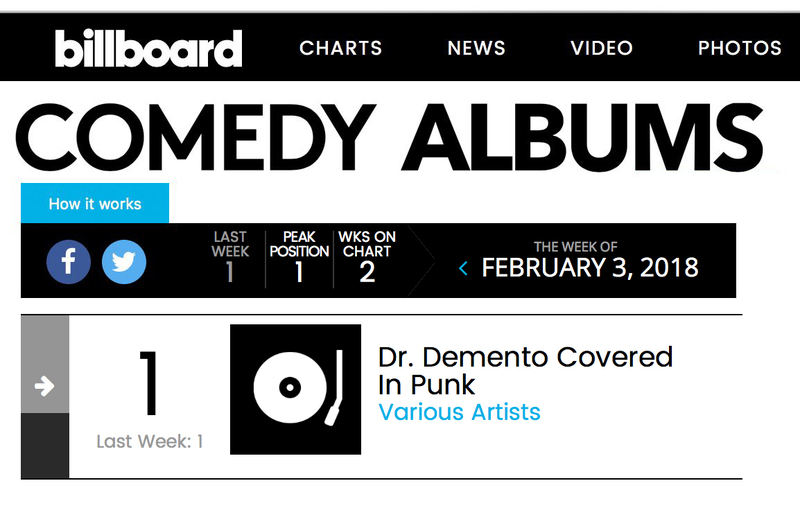 Dr. Demento Covered in Punk” the #1 Comedy Album in Billboard for Two Consecutive Weeks! #20 on Billboard’s Independent Album Chart & more! In stores and online now from Demented Punk.